Soundbeam is the instrument to integrate disabled people into a band of professional musicians and stage actors. 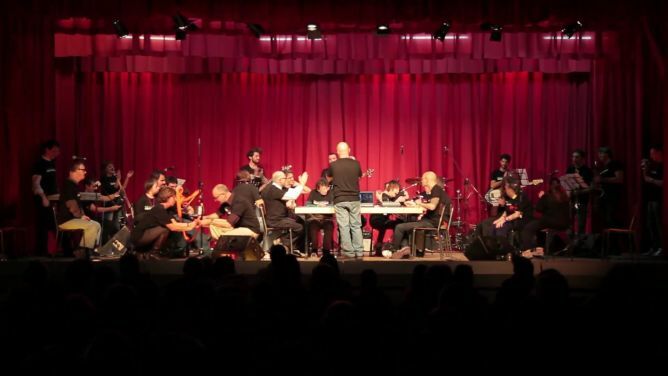 The Foundation Provvida Madre, since 2010, hosts a cutting-edge music workshop. This is just a step of the journey that will lead us to the creation of a permanent orchestra, made up of people with disabilities, music lover educators, professional musicians and stage actors. The Foundation Provvida Madre of Balerna (CH) has been and will be the venue for our musical encounters. About ten young guests of the Foundation and some educators, trained by Maurizio Rocca, will be part of the ensemble. Thanks to the money that we collect, we’ll fund a laboratory, on a weekly basis, for the entire 2016/17 school year. In about six years of activity in Ticino, we can boast of having played at the Conservatory of Lugano and Teatro Dimitri. We represented three different original shows, the first of which was written and directed by David Jackson (Van der Graaf Generator). 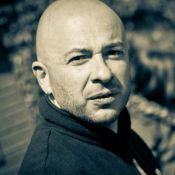 Personally (Maurizio Rocca), I’m the composer, arranger and conductor of the ensemble. In 2013 I won the competition «25 Years of Soundbeam», awarded by a jury of musicians and British experts, among them, John Paul Jones (Led Zeppelin). This project ended successfully on 1/7/2016 17:00! Entrance to the concert/show of Soundbeam Permanent Ensemble (Autumn 2017). Invitation received by mail. Entrance to the concert/show of Soundbeam Permanent Ensemble (Autumn 2017). Reserved armchair. Invitation received by mail. Entrance to the concert/show of Soundbeam Permanent Ensemble (Autumn 2017). Reserved armchair. Invitation received by mail. Original poster of the event and limited edition libretto. Entrance to the concert/show of Soundbeam Permanent Ensemble (Autumn 2017). Reserved armchair. Invitation received by mail. Original poster of the event and limited edition libretto. Participation in dress rehearsals: to live, behind the scenes, the highlights of the show preparation. A three hour lesson on using the Desktop Soundbeam with Maurizio Rocca. 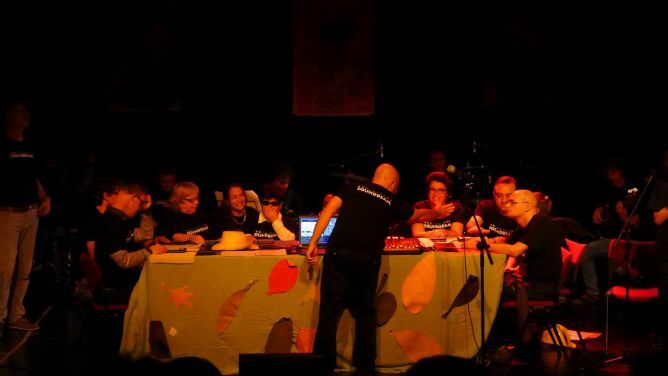 Recording of a track created and performed by participants. Editing of the recording and delivery of the CD at home. Entrance to the concert/show of Soundbeam Permanent Ensemble (Autumn 2017). Reserved armchair. Invitation received by mail. Original poster of the event and limited edition libretto. Participation in dress rehearsals: to live, behind the scenes, the highlights of the show preparation. Access to a Soundbeam session, to test the instrument, play with our kids and spend a nice morning together, at the Day Care Centre of Provvida Madre. Entrance to the concert/show of Soundbeam Permanent Ensemble (Autumn 2017). Participation in the dinner/buffet with the artists at the end of the show. Reserved armchair. Invitation received by mail. Original poster of the event and limited edition libretto. Participation in dress rehearsals: to live, behind the scenes, the highlights of the show preparation. Access to a Soundbeam session, to test the instrument, play with our kids and spend a nice morning together, at the Day Care Centre of Provvida Madre. Entrance to the concert/show of Soundbeam Permanent Ensemble (Autumn 2017). Participation in the dinner/buffet with the artists at the end of the show. Soundbeam T shirt autographed by the artists. Reserved armchair. Invitation received by mail. Original poster of the event and limited edition libretto. Participation in dress rehearsals: to live, behind the scenes, the highlights of the show preparation. Access to a Soundbeam session, to test the instrument, play with our kids and spend a nice morning together, at the Day Care Centre of Provvida Madre. I attended the Conservatory «G. Verdi »in Milan, graduating in music theory. 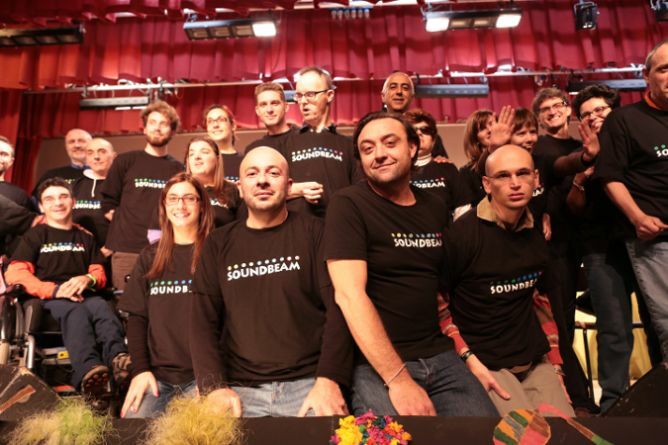 In 2000 I undertook the profession of musician, bass teacher, music animator for children, teenagers and disabled persons: I’m a Soundbeam trainer in Italy and Switzerland, as well as winner of the «25 years of Soundbeam», organized by the instrument manufacturer, in 2013.